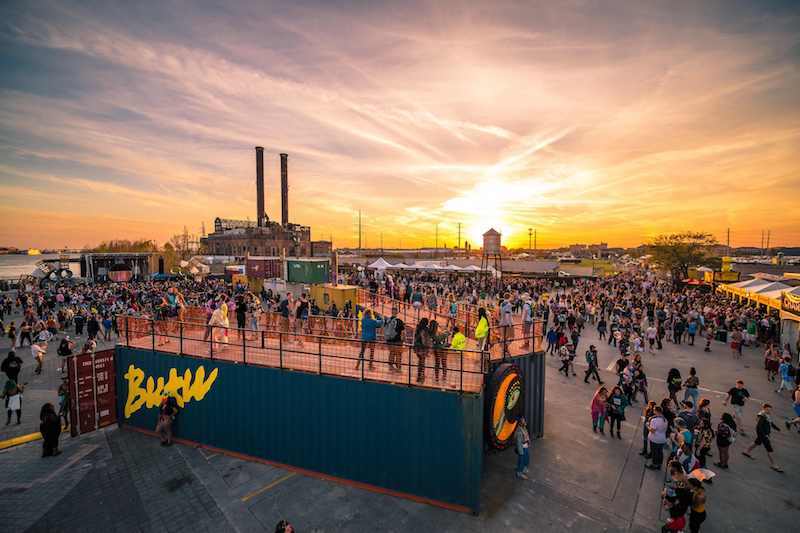 Of course, the big news this week is the return of the BUKU Music + Art Project to the grounds of Mardi Gras World. BUKU is one of the truly great festivals on our scene. The organizers do a great job of providing a stage for experimental local artists as well as a showcase for some of the truly outstanding performers on the international scene. The lineup at BUKU never suffers from the sameness that plagues many of the later summer events. This festival has a personality and a vision all its own – where else can you find Death Grips, Lana Del Rey and Kero Kero Bonito all on the same bill? This afternoon and tonight you can catch performances from Toro y Moi, Denzel Curry, Death Grips, Kevin Gates, Lana Del Rey, TOKiMONSTA, RL Grime, Kero Kero Bonito and more. Tomorrow be on the lookout for Papadosio, Earl Sweatshirt, Dashboard Confessional, A$AP Rocky, Dog Blood (Skrillex and Boys Noize) and Mersiv. I’ll have photographs and reviews from the festival for you next week so stay tuned. If you didn’t manage to grab BUKU tickets in time, there are still tickets for the BUKU sponsored From First to Last show at Republic. You can also can catch Helen Gillet tonight at Tipitina’s. Tomorrow the excellent folk ensemble River Whyless drops in at One Eyed Jacks (check out their fantastic Tiny Desk below). While BUKU sets up shop at Tips for a late night meeting of Papadosio and Mersiv. String Band while Surreal Estate will be over at Gasa Gasa. If you’re interested in something a bit more traditional Thursday, Tom McDermott and Aurora Nealand will be down at the Backroom at Buffa’s while Shamar Allen and the Underdawgs hold court at Bullet’s.